Since moving to Harlech in May, I’ve been watching the progress on the building works on the new visitor centre at the castle with some interest. 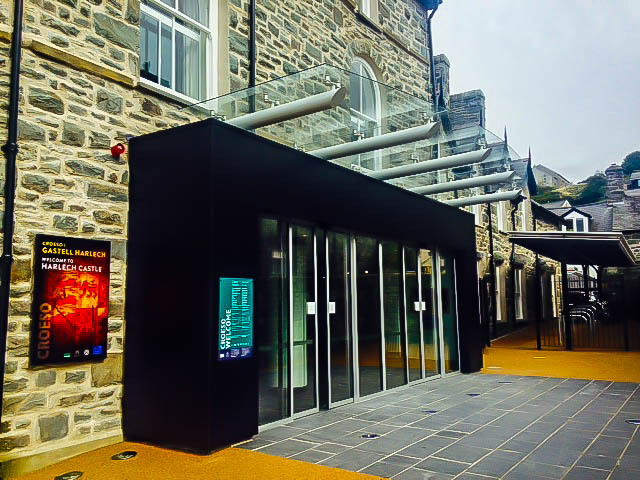 I found out, through social media, that my favourite Harlech haunt, Llew Glas, was taking over the franchise in the centre and would be operating another Cafe in the new building. It opened a couple of weeks and LT and took a walk up The Steepest Hill In The World on Sunday morning to have a potter around and indulge in what has become our one of our favourite activities in Wales: drinking coffee, eating cake and talking about how gorgeous the scenery is. Seriously, this is what we do. For reasons unknown, I rarely visited coffee shops back in Stirling where we lived in Scotland. We never wandered into the city on a lazy afternoon to grab a drink. Here, however, despite us both working, we feel a little like we’re on holiday and we’re forever seeking out new coffee shops to visit on the weekends. I can’t function without my coffee and LT is partial to a slice of home made cake, so living in an area with so many excellent establishments has fairly ramped up my coffee consumption. The visitor centre looks great and, aesthetically, it has been designed in a way that it looks very modern and yet still seems sympathetic to the look of the ancient castle sitting opposite. You don’t have to purchase a ticket for the castle in order to make use of the new Café and the same goes for the gift shop which occupies the adjoining space. 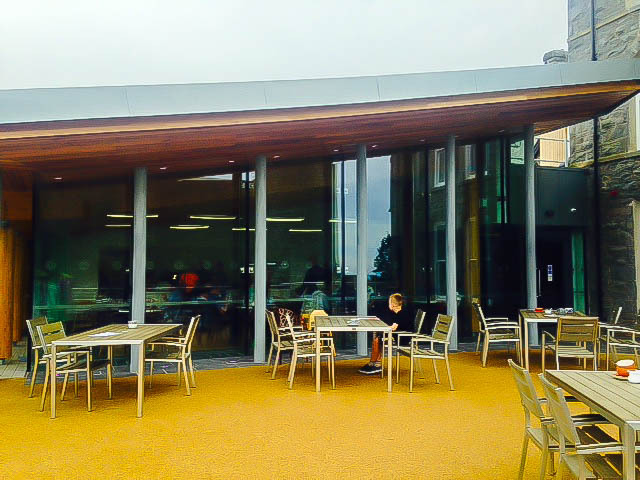 The Café is very modern, with floor to ceiling windows and a beautiful deck outside, where you can get the best view of the Castle and out across Cardigan Bay. The staff are every bit as warm and friendly as they are in the main square, despite being rushed off their feet during our visit. The selection of home made cakes was rapidly depleting due to the volume of orders and, by the time it was my turn to be served, I’d missed out on a massive slice of a cream filled, meringue topped number that would have made LT a happy man. I purchased him a rather large slice of Victoria sponge instead and he made it disappear fairly quickly. 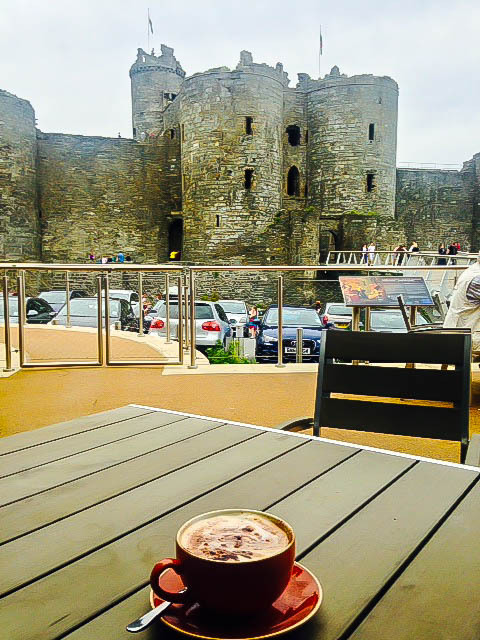 Aaaah...coffee and castles: two of my favourite things.